The Occupational Safety and Health Administration (OSHA) is an agency of the United States Department of Labor. OSHA’s mission is to assure safe and healthy working conditions by setting and enforcing standards and by providing training, outreach, education, and assistance. OSHA laws essentially state that employers have the responsibility of providing a safe working environment. Employers must provide their workers with a workplace that does not have serious hazards and follow all OSHA safety standards. OSHA laws require that employers try to eliminate or reduce hazards by making feasible changes in working conditions, such as switching to safer chemicals, using better air purifier systems, etc., rather than relying on personal protective equipment such as masks, gloves, or earplugs. The actions of employers however, are only half the battle won. As no safety procedure can be effectively implemented without the involvement of employees, OSHA requires that employers provide adequate safety training to their workers. 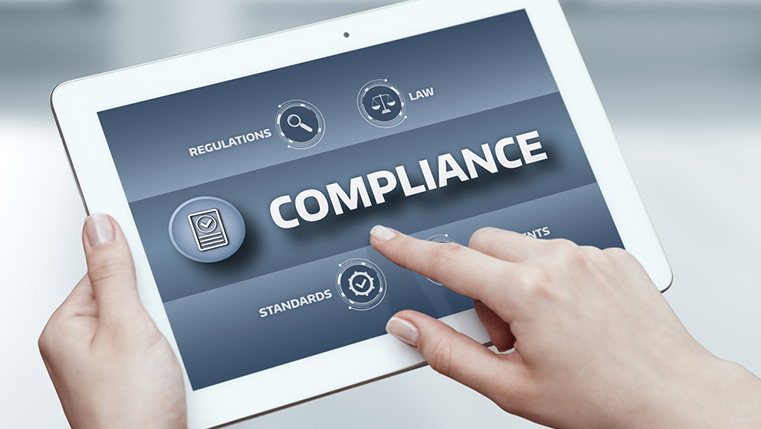 Compliance training mainly consists of text-heavy dos and don’ts regarding your work environment. Using a traditional classroom approach to convey such a subject matter can get very mundane and deters effective learning. You can change this if you use an e-learning program for your OSHA compliance training. E-learning courses can utilize scenario-based learning to bring dull topics to life. It relies on creating fictional, but relatable, scenarios that incorporate the safety issues of your organization. Scenarios involve real-world situations or challenges that employees must resolve. For example, dealing with a hazardous spill or determining which safety gear is right for a task. This helps employees improve problem-solving skills, which they can later apply in the actual workplace setting. This is another e-learning methodology that can take the edge off the dry content related to OSHA compliance training. Game-based learning essentially means using games to convey your subject matter to your audience. Games are specially designed keeping in mind your safety standards and work environment. The learning points of safety and health compliance are embedded right in the gameplay. For e.g., you can easily create a game around your machinery with the players required to perform all the safety steps before working on it. When learners play such games, their mind subconsciously picks up the necessary safety procedures they need to follow in their work regime. E-learning programs can also gamify your ordinary content using gaming principles such as scores, progress bar, leaderboards, etc. In addition to this, micro-gamified assessments can be used to evaluate learners and reinforce knowledge. There might be a considerable time difference between the safety training and the actual realization of the task. This can cause gaps to develop in the knowledge and understanding of your employees. When it comes to OSHA safety training, these gaps can prove hazardous, and hence should be avoided at any cost. A digital learning program can aptly provide a solution for this in the form of microlearning elements. These are bite-sized learning modules, usually accessed through a mobile device, which convey just one single topic. Employees can quickly access them right before undertaking a task. This refreshes their memory with the most crucial information, thereby greatly reducing the chances of an accident. If you are averse to going fully digital with your safety compliance training, you can always opt for a blended learning approach. This method beautifully combines e-learning programs with traditional classroom sessions to give you a comprehensive OSHA compliance program. You can arrange peer connects or bring in industry experts to interact with your employees. This helps bring your compliance program to life and learners can associate themselves with the material. The digital component can be any of the above methods I’ve covered, or even something else better suited to your company. It is very important to gauge the effectiveness of your OSHA safety compliance training to see if you are on the right path. With e-learning programs, you can easily do this in two ways. The first is online training assessments wherein you test your employees at the end of each module to see how much of the content they have successfully grasped. The second is by gathering employee feedback through surveys or checklists at the end of your training program. Employee feedback helps you identify the strengths and weaknesses of your safety-training program and make improvements in future courses. Adopt e-learning and give your employees a highly superior safety compliance program that ensures their continuous well-being.